Last week, the Seattle Art Museum opened the first major US exhibition of work by Haida artist Robert Davidson. The 67-year-old Canadian artist's work has been pivotal in the revitalization of Northwest Coast Native art. Robert Davidson: Abstract Impulse is on view at SAM through February 16, 2014. The exhibition features Davidson's recent works, along with key works from his early career. In 1969, Davidson erected the first totem pole in nearly a century in his ancestral British Columbia village of Masset, located in Haida Gwaii (formerly the Queen Charlotte Islands). He has since worked for more than 40 years absorbing the bedrock art traditions of Haida art and craft. He first learned from his great-grandfather, Haida artist Charles Edenshaw, and gradually explored new directions within the highly disciplined structure of the old Northwest Coast models -- in wood sculpture, ceremonial arts, jewelry and prints. Abstract Impulse showcases Davidson's recent forays into abstraction in his easel paintings, graphic work and sculpture. Using non-traditional media, he pushes the colors and forms of the Haida art form, making him one of the most important Northwest Coast Native artists working today. The exhibition features 45 paintings, sculptures and prints that Davidson has created since 2005, along with works from his earlier years. The Seattle Art Museum has an impressive collection of historic Haida art, including key pieces by Davidson's ancestors. "We are especially pleased to present Davidson's contemporary work and connect it to the culture that he has worked so hard to revitalize," said SAM's Kimberly Rorschach. Davidson most recently had a retrospective exhibition at the Vancouver Art Gallery in 1993. Another Haida artist's works, Charles Edenshaw (1839-1920), are at the VAG in an exhibition that runs through February 2, 2014. Following its three months at SAM, Robert Davidson: Abstract Impulse will travel to New York's Smithsonian National Museum of the American Indian from April 12 to September 28, 2014. "Robert Davidson is one of Canada's most respected and important contemporary visual artists. A Northwest Coast Native of Haida and Tlingit descent, he is a master carver of totem poles and masks and works in a variety of other media as a printmaker, painter and jeweler. He is best known as an impeccable craftsman whose creative and personal interpretation of traditional Haida form is unparalleled. 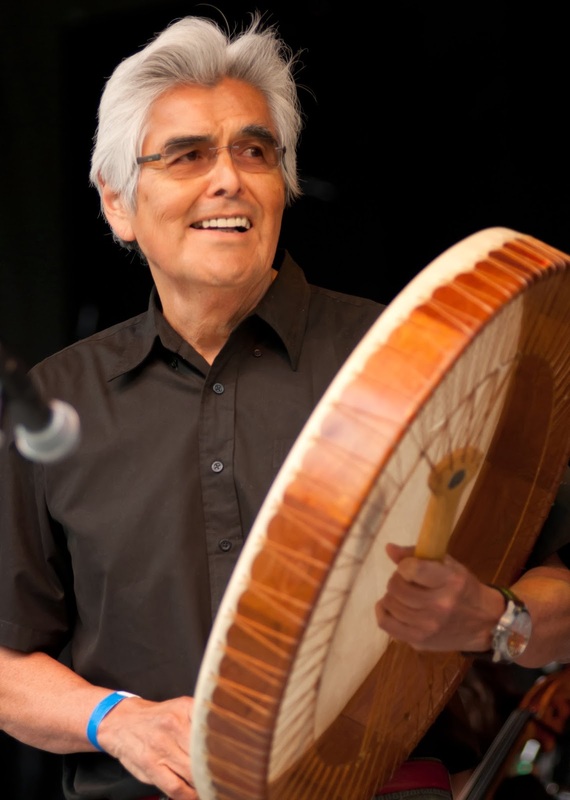 His distinctive style is appreciated by the Haida community and contemporary arts scholars alike, with many of his works considered post-modern masterpieces. His work is sought by collectors internationally." Robert Davidson | Eagle of the Dawn Artist LTD.